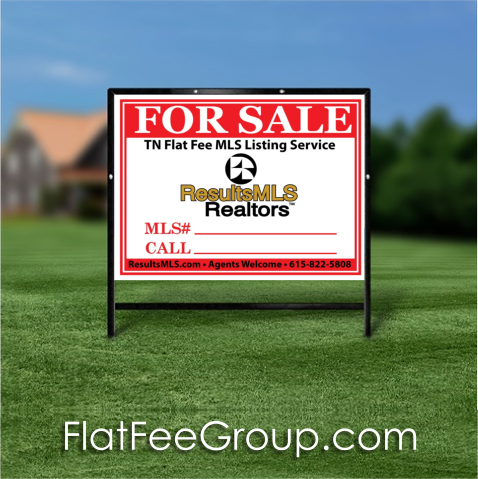 Listing your property on the Tennessee MLS is the best way to sell, and listing for a low flat fee is the best way to list on the MLS! List on the MLS just like all other listings, and only pay a commission if a buyer agent brings you a buyer. If you sell your property as a FOR SALE BY OWNER Tennessee, you pay no buyer agent commission, saving even more in commissions. Our FULL SERVICE REALTOR® package is for sellers who want the ultimate marketing, broker contract review and for the broker to handle negotiations with the buyer's agent. Now we offer flat fee mls sellers the entire menu of services you would get from a full service 3% traditional agent for our packaged pricing of only $99.00 a month! This includes assisting you with completing all paperwork, taking photos, recommendations on pricing, staging information and suggestions, open houses, unlimited contract offer negotiations, showing your home to buyers, marketing, and MORE! A $800.00 minimum is due for cancellations (we do apply your monthly $99.00 payments). Total full service listing commission is a total of $1,700.00 and we credit your monthly payments toward the total, so any unpaid balance is paid at closing! So, if you list, and sell quickly, you don't have to pay upfront! Our 6 month flat fee mls package pricing is for those sellers who feel comfortable handling most aspects of the home sale themselves. Of course we are here to help in any way, but this is a limited service listing. You can add more photos and more assistance such as contract offer negotiations either now before check out, or at the time of an offer. We strongly recommend some sort of representation when you get an offer to make sure you are best represented and protected. Also, the enhanced ads on Trulia, Realtor.com, Yahoo and Zillow are not included but can also be added before checkout. All terms and conditions are detailed in the listing agreement. Our 12 month flat fee mls package pricing is for those sellers who feel comfortable handling most aspects of the home sale themselves. Of course we are here to help in any way, but this is a limited service listing. You can add more photos and more assistance such as contract offer negotiations either now before check out, or at the time of an offer. We strongly recommend some sort of representation when you get an offer to make sure you are best represented and protected. 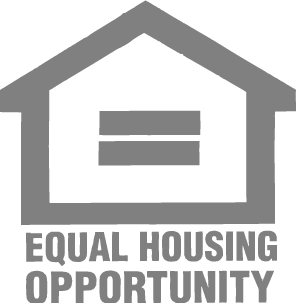 This plan does includethe enhanced ads on Trulia, Realtor.com, Yahoo and Zillow. All terms and conditions are detailed in the listing agreement. * We charge an additional fee to handle negotiations with the buyer's agent for Silver and Gold Packages. Buyers can get your contact information easily from our website or on the yard sign. We offer a 100% money back guarantee! If for any reason you want to change to a traditional listing agent at any time, we will refund the listing fees paid to ResultsMLS up to that time. We have agreements with top agents across Tennessee who will list your home traditionally. If you list with our network agent in your area, the refund will apply at closing. 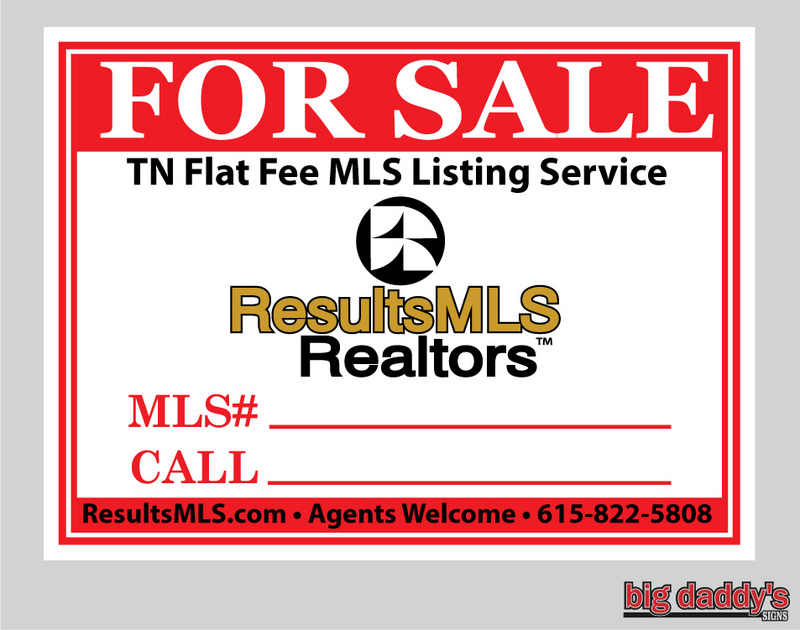 Flat Fee MLS Listing in Tennessee is the practice in the real estate industry where a seller enters into a listing agreement with a real estate broker who accepts a flat fee rather than a percentage of the sale price for the listing side of the transaction. The buyer's broker is still typically offered a percentage though that could be a flat fee as well. A discount flat fee MLS brokerage typically unbundles the services a traditional real estate brokerage offers and list the property for sale in the local multiple listing service (MLS) a la carte without requiring the seller to use its services for valuation assistance, negotiating, transaction management and showing accompaniment. Flat Fee brokers are real estate brokers, just like the national brand names, but offer discounted or unbundled services. Most flat fee brokers do offer full service brokerage services. In the Tennessee MLS ®, the listing agreement between the Tennessee real estate broker and the property owner typically requires the broker to enter the property into the MLS and provide other contracted services, with the broker acting as what the traditional industry has coined a "limited service broker". However, the flat fee industry prefers the term a la carte broker because the services are not limited. Instead freedom of choice is expanded to allow sellers to pick from a menu of services. 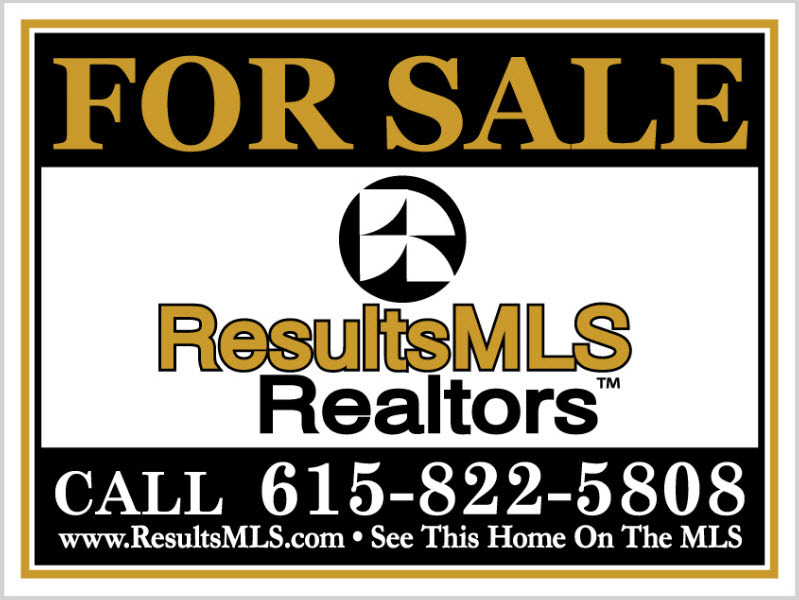 For Sale By Owner MLS Tennessee ( Multiple Listing Service) is not different from traditional real estate brokerage services. Because the MLS requires a listing agreement between a real estate broker and property owner, the rapid explosion of discount flat fee service providers has created a gap in the States developing laws governing flat fee services provided by real estate broker.